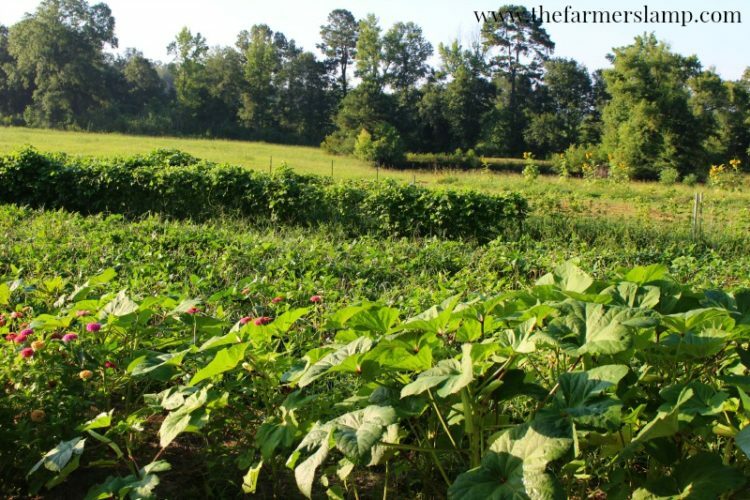 As more and more people are deciding to go against the norm in providing their families with food, reliable homesteading resources are becoming much sought after. Finding a resource that you can identify with and that offers the information you are seeking, is a treasure. My goal for The Farmer’s Lamp is to be that go to source for your family, but in reality, no two farms are just alike. Your goals may not line up with ours; we may not share the same lifestyles. So I have put together this list of resources to share with you in the hopes that you will be able to find what you are looking for. On our farm, we prefer doing things the old-timey way. We use methods of fertilizing, soil maintenance, seed saving, animal husbandry, and many other skills that were taught to me by my grandparents, who were taught by their parents, and so on. While there are some “modern” tools and opportunities we take advantage of, the basic principles of being organic, non-gmo stewards of the land and not land possessors is our way. These old ideas work, they are good for the food, the soil, the animals, and so for us! Since many of the baby boomers left the farm life, a whole generation of farming knowledge and skill was lost. This is causing the younger generations, who are returning to a more self-sufficient lifestyle, to have to search for the information they need. Recently, one of my young farming friends was talking to me about some decisions they are making when she told me her mother was raised on a farm, but refuses to talk to her about it. I personally can’t image that, sharing our knowledge and helping future generations is paramount to us here. When most of our parents, grandparents, and great-grandparents were gardening, they did not have the concerns of GMOs, pesticides, stripped soil, and others that we have today. Their seeds were natural, organic seeds just because that’s what they planted, harvested, and saved. They would never believe the dilemmas of GMOs, of it being different and challenging to grow an organic garden, or to care for your animals holistically. As our world rapidly changes around us, it’s more and more important to be prepared to provide as much for yourself and your family as you can. Associate yourself with like minded people who can help you and with whom you can barter and share resources. Make informed decisions based on your own research and not on the opinions of others. Ask questions, listen to the answers, and make your decision with action. Here are a few resource links for you, of course I include myself 🙂 You will find informative articles and resources on everything farmstead related. These knowledgeable people are from all walks of the farmsteading/homesteading lifestyle. There are those who are homesteading in town; those of us who have large acreage; and those who have something in-between. You will find encouragement as well as helpful tips and information. 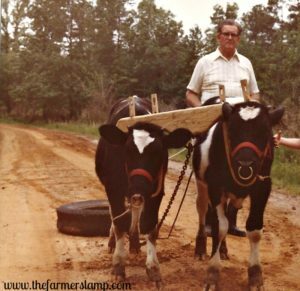 www.thefarmerslamp.com – for organic, N0n-GMO farmsteading/homesteading instruction, direction, and encouragement on your journey to self-sufficiency with old timey wisdom in a modern day. http://daddykirbs.com/ Blake Kirby shares his journey with you as he moves his family from suburbia to the country. http://gardentalkandtips.blogspot.com/ Shirley at Growing Organic shares her passion for gardening with you from planting to preserving. http://growagoodlife.com/ Rachel at Grow a Good Life shares tips and techniques from gardening to chickens to preserving your harvest. http://learningandyearning.com/ Susan at Learning and Yearning shares her experience with gardening, foraging, and natural living. http://ladyleeshome.com/ Lee at Lady Lee’s Home will provide homesteading, farming, and simple living tips and information for you. http://onceuponatimeinabedofwildflowers.com/ Christine at Once Upon a Time in a Bed of Wildflowers is a country girl turned city mom, who shares food preservation, from scratch recipes, and household tips. http://www.lovingmyheartandhome.blogspot.com/ Valerie at Cottage Making Mommy will share her little slice of heaven with you as she shares recipes, gardening tips, decorating, and more. http://homestead-honey.com/ Teri at Homestead Honey will capture you with her off-grid, tiny house living as she shares tips and techniques from homesteading to homeschooling. http://www.pitgarden.com/building-pit-garden-start-finish/ Andrew Blessing shares his adventure as he builds a pit garden from start to finish. 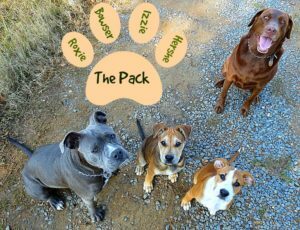 Check it out to see if this is a project for you. http://homesteadchronicles.com/ Jo at Homestead Chronicles offers recipes, DIY, homesteading, and preparedness help, plus more. 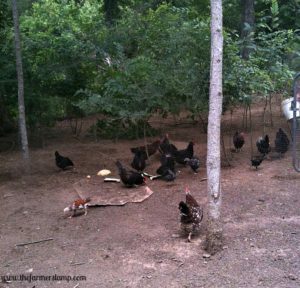 http://www.betterhensandgardens.com/ Lesa at Better Hens and Gardens is all about self-reliance, real foods, and sustainable farming. http://www.schneiderpeeps.com/ Angi at SchneiderPeeps is all about encouraging you on your journey to a simpler life by offering information, instruction, and resources. http://www.lonestarfarmstead.com/ Brandon at Lone Star Farmstead shares his family’s passion for sustainable living with you from foraging to animal care. http://www.homeschoolingthewellpreparedchild.blogspot.com/ Kamay at Homeschooling the Well Prepared Child is about more than homeschooling. She shares tips and how-to from foraging to survivalist helps. http://springmountainliving.com/ Krystyna Thomas at Spring Mountain Living offers homesteading helps on farming, health, crafts, and more. http://momprepares.com/ MomPrepares is a group of women focused on teaching those new to homesteading topics like off-grid living, essential oils, and much more. Check out each of these great sites to see which ones you can identify with and fill the needs of your family and farmstead. Each one offers something unique and will inspire you on your journey to a more self-sufficient, simpler lifestyle. Remember, if you need any other information, or help, you can always contact me and I will do all I can for you.